Learn more about our committees at www.kentwoodhomeguardians.com/board-committees. As we move through the second half of calendar year 2016, I want to welcome our newest KHG board of directors and share a little of what we’re doing to provide a more productive and streamlined HOA. We are fortunate to have three new board members who all share the pride of living in Kentwood and are eager to serve the community in their own and unique ways. We are all volunteers and a fresh board, so we appreciate your patience with the transition. The KHG website has been updated to the most current information regarding operations and news pertaining to Kentwood. This site contains a bevy of pertinent info, as well as resources for contact numbers to some of the most requested departments in the City. Please visit and learn more about the Kentwood Home Guardians. We just recently upgraded our computer system in the KHG office, which will help streamline not only our accounting system, but potentially allow us to add a dues payment via PayPal and/or credit card options. We hope to expand to other computer-based services in the future. 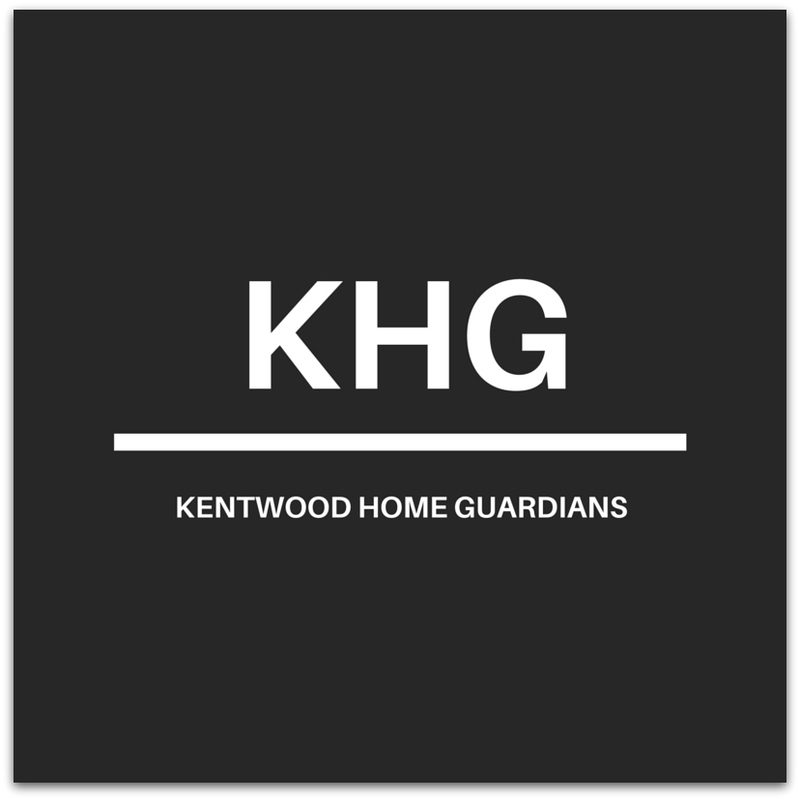 One of the most commonly asked questions from Kentwood homeowners is “what strength does KHG have to enforce its DPRs or (rules)?” While the answer to this question has been muddled in the past due to many factors, we are currently working with our legal experts to help define exactly what our strengths are. Our intention is to uphold the standards of our community to the best of our ability, even with the financial constraints that our low member-ship dues provide. We are a very involved and caring board and we take our responsibilities very seriously while we continue to represent our Kentwood community. We encourage members to come to our board meetings and get involved in the process. We can always use volunteers to lend a helping hand. Please reach out to us if you would like to participate. It’s my vision that Kentwood remains a safe, respectful and unified neighborhood where our homes increase in value. We welcome your ideas. KHG is a planned development of approxi-mately 3400 homes, governed by Articles of Incorporation and a set of Declarations of Protective Rights (“DPRs”) for each of KHG’s 23 tracts. The Architectural Committee, consisting of five members, is responsible for reviewing projects proposed by members that will impact the exterior of their property. Per the DPRs, Kentwood homeowners are required to submit plans and obtain approval prior to starting construction on their exterior projects. Plans are either approved by the Architectural Committee as complying with the DPRs, or not approved as non-complying or lacking sufficient information to judge compli-ance. DPRs for each tract are on our website at www. kentwoodhomeguardians.com/governance/dprs-restrictions. Kentwood property owners are notified by USPS letter whether their project plans have been approved or not. The KHG Operations Manager tracks status for each project, includ-ing requests for additional information and/or non-approvals of plans. Construction is not permitted to start without KHG plan approval. Please call the office with questions. With the exception of our part-time Operations Manager, KHG is completely staffed by volunteers from our membership. Please consider volunteering to help make our community stronger. Joining a committee is a great way to meet your neighbors and to help make your association a stronger, more engaged community. To volunteer, call the office at 310.670.5111 or submit an inquiry through our website at http://www.kentwoodhome guardians.com/contact. Our Operations Manager, Suzann Rogers, is out on medical leave, but she left us in good hands with Audrey Melton. Audrey has been a Kentwood resident since 1994 and a Kentwood homeowner since 2000. Audrey loves living in Kentwood and enjoys her neighbors and community. Her background is in sales and customer service and she has been able to step in and make a contribution right away. While Audrey is a huge help, we’re wishing Suzann a speedy recovery! Did you get to see the Westchester Parade on July 4th? It was a beautiful day for a parade. The sun was out and the breeze was perfect. Over 50 community groups, floats, bands and other entries came out. The parade was also the kick off event for Westchester’s year long 75th birth-day celebration. Here are a couple of pictures. More are available at www.Living90045.com. Do you know about the Moms of Westchester and Playa del Rey Facebook Group? It’s an active, engaged group of 2100+ moms sharing tips, triumphs and challenges. It’s a “secret” group, but Westchester, PdR and Playa Vista moms are welcome to join. Email tracy@living90045.com for an invite. As we shift into the height of Summer weather, it is important to look out for our senior friends and neighbors and insure that they remain hydrated and cool. If you know of a senior who is homebound, it would be a nice gesture to look in on them to be sure they have adequate ventilation and a good supply of fresh, cool water. Please also consider sharing information with your senior neighbors about Westchester Playa Village (WPV). WPV is a local volunteer-driven non-profit 501(c)(3) membership organization with the mission of helping residents in the Westchester and surrounding communities continue to age in the comfort and security of their own homes. WPV helps its members with transportation, grocery shopping, running errands, minor home repairs, can arrange for friendly visits, walking buddies, and help with other routine daily activities, such as changing light bulbs and getting trash bins to/from the curb each week. WPV also offers social, health/wellness and educational programs. Each of these services is important to seniors who wish to remain active, independent, and engaged in our fabulous community for as long as possible. Additionally, WPV is always looking for volunteers of all ages and talents. Consider becoming part of WPV and the growing “village movement” as a volunteer. Students can earn community service hours, too. Just 20 minutes of your time can make a big difference in the life of a senior. WPV was recently voted one of the “Best Places to Volunteer” for the fourth year in a row, in part because we create flexible schedules that fit our volunteers’ busy lifestyle. For additional information, please visit our website at www.thewpv.org. Each year, KHG holds a community meeting and typically offers an educa-tional program. This year we are seeking input from our community on the topic for the event. **For easy access to the links in this newsletter, it will be posted online at http://www.kentwoodhomeguardians.com/summer-2016-newsletter.